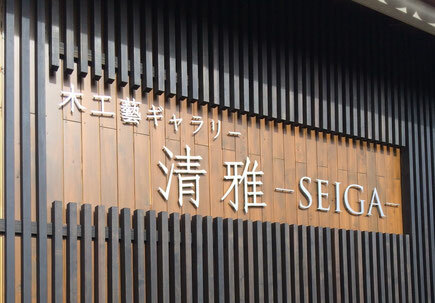 "Japanese fine woodwork gallery -SEIGA-" newly opened January 20th in 2018 with the aim of spreading and promoting Japanese fine woodwork. We also hope to give an impetus to young woodworkers with passion of profound study of fine woodworking. Via JR Jōetsu Shinkansen Line or JR Hokuriku Shinkansen line or JR Takasaki line, get off at JR Takasaki Station and change to Joshin Dentetsu Line(private railway). Via Joshin Dentetsu Line, get off at Joshu-Fukushima Station. Catch a taxi and ask a driver to take to gallery.